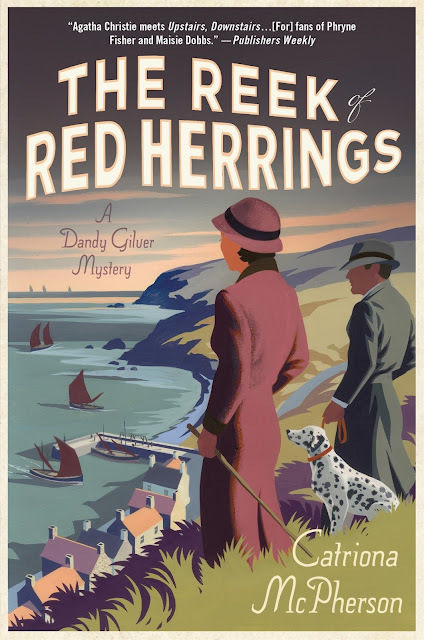 As promised, here is Kerry Hammond's review of the new Dandy Gilver mystery, The Reek of Red Herrings. Don't forget to check out Catriona's guest post below to see who she did on her own 2016 reading list. The Reek of Red Herrings by Catriona McPherson, published in Hardcover by Minotaur, hits the U.S. bookstores today, December 13. This is Dandy’s 9th mystery in the series and her coldest one yet. Set in the 1930s on the Banffshire coast of Scotland at Christmastime, this book is best enjoyed with a mug of hot chocolate by a cozy fire. I’ve read every book in the Dandy Gilver series and am always excited to see where her detecting takes her. I jumped at the chance to read this latest installment. In the story, Dandy and her partner in detecting, Alec Osborne, travel to the tiny fishing town of Gamrie to investigate a rather delicate matter for a client. Mr. Birchfield, who made his fortune from herring that is fished off the coast, has discovered that some of his barrels contain something other than fish. That something just happens to be body parts, but whose parts they are, and how and why they’re in the barrels is the mystery—and something Mr. Birchfield cannot make public. Undercover as philologists and with a reservation at the local hotel, Dandy and Alec arrive in town right before the huge wedding festivities. The celebrations and superstitions of the townspeople are an added challenge for them as they attempt to maintain their cover story while still getting to the bottom of things. As luck would have it, they are drawn into the wedding celebration, allowing them better access to anyone who might have seen a stranger come through town. But a coming storm adds a dangerous element to their sleuthing. The Dandy Gilver mysteries are a great series and I thoroughly enjoyed this latest book. I love anything set in the early 1900s and the fact that these books take place in Scotland is an added bonus. 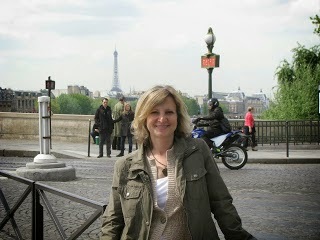 It’s fun to armchair travel to Scotland without the need for an airplane ticket (or time machine). But I can’t stress enough that you’ll need a warm blanket to get through this book. Poor Dandy and Alec are subjected to the coldest of temps and a drafty hotel with a miserly proprietress.